Nepenthes villosa is an extremely beautiful plant that is considered an ultra-highlander that needs very cool nights to grow properly and thus has a reputation as a difficult plant to grow. Some growers use refrigerated coolers to chill their plants at night to simulate ultra highland conditions that N. villosa needs. 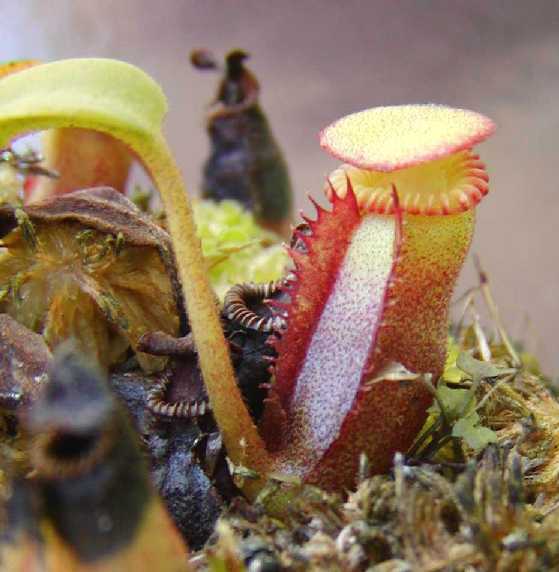 The pitchers are somewhat tubby and the peristome gets "toothy" in appearance. It is similar to N. macrophylla and N. edwardsiana in appearance as well. All three of those species are fairly closely related. 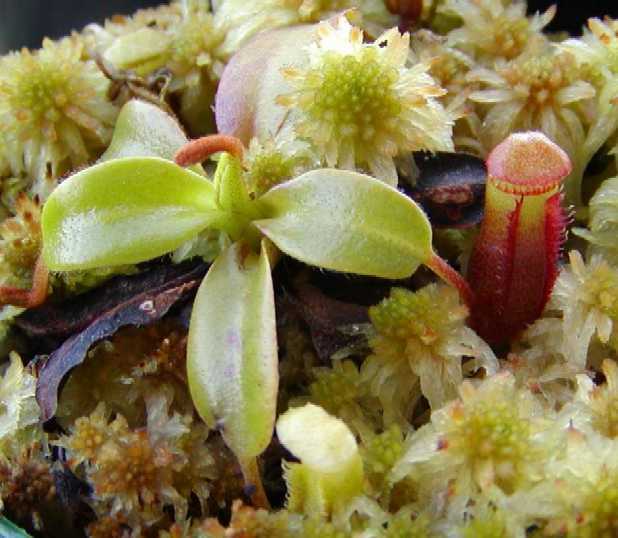 I remember seeing photos of this plant for the first time in Gordon Cheers book "Carnivorous Plants of the World" and instantly fell in love with this Nepenthes. This plant is truly one of the slowest growers I have. I grow several plants outdoors with varying success. My biggest plant is about 3" or so across and producing pitchers that resemble typical N. villosa pitchers. Most available plants come from Borneo Exotics and are about 1" across. Nepenthes at that size have a higher mortality rate than bigger plants and I have lost my share of N. villosas. What usually happens to me is the bottom portion of the plant rots out and turns black. So I have a feeling this species may not like it real wet and should have a well drained soil mix. Since they are so slow growing, it's hard to find any larger plants for sale. Once in a great while a 4" plant will surface but that is very uncommon. This species is probably one of the most difficult to grow of all the highlanders.